Maria Tavano’s practice involves defending management in both the private and public sectors in a wide range of employment matters, including discrimination and retaliation claims brought under Title VII, ADA, ADEA, EPA, and sections 1981 and 1983 of the Civil Rights Acts, whistleblower claims and wage and hour claims. She has experience litigating in both New York and New Jersey federal and state courts. Ms. Tavano has successfully represented clients in administrative proceedings before the Equal Employment Opportunity Commission, the New Jersey Division on Civil Rights, the New York State Division of Human Rights and the New York City Commission on Human Rights, with numerous matters resulting in no probable cause findings at the pre-conference stage. Ms. Tavano also represents corporate clients and public entities in tort defense, commercial litigation, education law, and other litigation matters. Her experience includes briefing a successful summary judgment motion for a nationally chartered bank involving complex UCC and predatory lending claims and successfully defending that summary judgment in the Second Circuit Court of Appeals. Prior to joining the firm, Ms. Tavano served as a law clerk to the Honorable Estela M. De La Cruz, Superior Court of New Jersey and as a judicial intern to the Honorable Edward H. Lehner, Supreme Court of New York. While in law school, Ms. Tavano was a student attorney with the Rutgers Federal Tax Clinic; a member of the Rutgers Moot Court Board, earned the Best Brief Award in the Nathan Baker Mock Trial Competition; and was the Articles Editor for the Women’s Rights Law Reporter, which published her student Note entitled, “Trafficking in Persons: Preventing Forced Labor”. 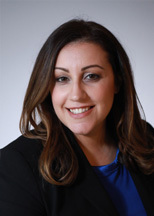 Ms. Tavano has authored articles on a variety of employment matters, including intern wage claims under the Fair Labor Standards Act, military leave amendments to the Family Medical Leave Act, and the federal tax treatment of severance payments.